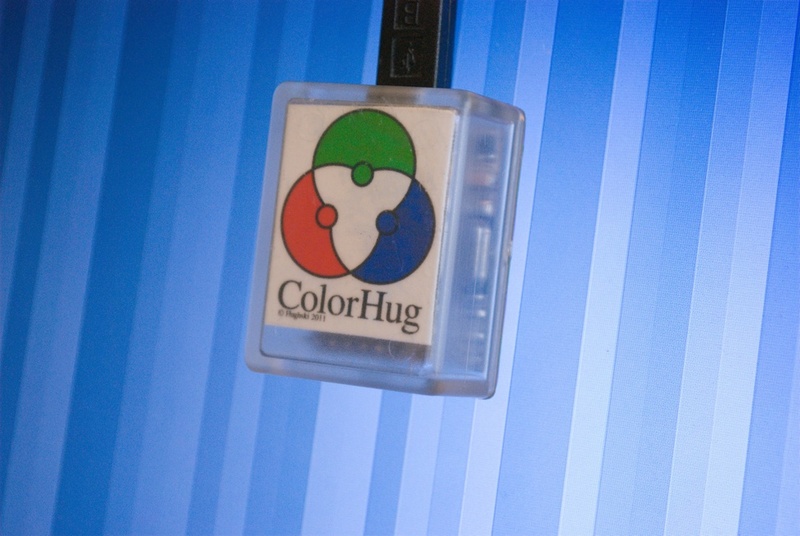 For the past 3 weeks I’ve been working long nights on an open source colorimeter called the ColorHug. This is hardware that measures the colors shown on the screen and creates a color profile. Existing hardware is proprietary and 100% closed, and my hardware is open source. It has a GPL bootloader, GPL firmware image and GPL hardware schematics and PCBs. It’s faster than the proprietary hardware, and more importantly a lot cheaper. Making hardware does cost money, and I can’t give the hardware away for free like I do my other software. I’m aiming to do an initial production run of 50 units, but I’m going to need some advanced orders just to make sure I don’t get stuck with a lot of stock and no buyers. I’m offering a 20% discount on each unit, on the assumption the first users will be testing the firmware and reporting problems. If you want to support a cool open source project, I’m asking £48 for each unit, plus postage and packaging. There’s a whole website if you want to know more about the project, and there’s even a newsletter if you don’t need hardware, but what to know how we’re getting on. I would very much appreciate it if people could publicize this project, and help me get to my target of 50 pre-orders. 49 to go , great job ! Have you considered a kick starter campaign? This would fit in well over there. I’m going to send Graeme one and hope he writes a driver. It should only take an hour or so as all the processing is done on the device, not the PC. It’d be nice to – optionally – be able to access the raw data from the device, too. I know it’s only a colorimeter not a full spectrophotometer so uses are limited, but uses are sure to turn up. Do you have to be a US resident to use kickstarter? I’d also second its use; I’ve backed a couple of things there so far and would love to see your colorimeter benefit from centralised publicity. Great, I think I’ll preorder one. Do you think they’ll ship to Germany till the end of 2011? I’m moving houses early in 2012 so that’s why I’m asking. Sure, Germany is no problem. Then consider it official :) How do I pay? Upfront or when the devices are ready? Both would be no problem for me! What if I want one but are not living in the UK or USA? Are you shipping to other countries as well? Can I pay for Graeme Gill’s? I don’t need one (I have an i1Pro, a full spectrophotometer) but I’d love to support your work. It’d be much more useful for Graeme to have one (or more) for Argyll. If he has more, that means he can give some away to people who’d put them to best development use re Argyll, and that’s just great. I'd dearly love to see an open hardware spectrophotometer – and not just as a F@#$@ you to X-Rite – but I realise they're orders of magnitude more difficult to make, require individual calibration, must be massively more accurate, and are generally not a simple starter project. I'm still smarting from X-Rite's attitude about the i1Pro and how they force you to buy their software to get their hardware even if you just want to use it with Argyll, so I'd be glad to get involved if you *do* ever decide to tackle something as scary as a spectro. Here, the enum entries are misspelled. And here, the command string is misspelled. Cool, I’ll fix this tonight. Thanks! If not already done, what about submitting it to sites like hackaday.com? That’ pretty cool what you are doing here! How are we supposed to pay? Paypal? Bank transfer? It will be Google Checkout, but only when the stock is ordered. Some of the stock has long lead times. If you want to delegate the whole part about logistic, maybe you should contact http://hackable-devices.org/ , they are specialized in the whole free hardware business. You may want to look into things like http://www.quirky.com/ – there really are quite a few alternatives to kickstarter out there and I think it could your product a lot of good. Indeed. Raphaël Hertzog is using ulule.com to liberate his Debian book. Yay, you are really going out of your way to get color management working great on Linux! Fantastic! count me for one sample! Hey, you need to send an email according to http://www.hughski.com/buy.html — thanks. Here’s one pre-order. It may be worth clarifying the post to state how you’re wanting to get orders (IRC, blog, email, something else). PS. I’ll happily round up the order value to the full amount if I can get one with Colour spelt correctly! Hey, you need to send an email according to http://www.hughski.com/buy.html — thanks dude. You may want bit of black velvet on the bottom of the box with a hole in it for the detector. This will prevent multiple reflections off the screen and the copper board, and may be a bit softer on the screen. You may want to spray the inside of the box too. As tings are, you may be getting a colour shift because light reflects off the copper on the board. This will not be much of a problem for a LCD but CRTs can have very thick glass at the front. The final production units will have a white foam mounting on the bottom of the PCB, as you’re right, the reflections can bias things. That’s a coincidence. For the past several months I have been contemplating such a purchase. This is interesting. Are there plans to eventually support printer, self calibration and Ambient capture? Of those printer calibration has my interest. Not yet. Designing a photospectrometer is an order of magnitude harder than a colorimeter. It is a positive thing. Rock on! You could also think about hosting on/pushing your repo to solderpad.com, which is kind of a gitorious for Open Source Hardware. I’ve already been contacted by solderpad, and the project is going to be mirrored there too. Does this deal with wide gamut monitors correctly? I have a Huey and it is decent under Linux… except it seems not to do a great job on my Dell monitor that has a wide gamut. Yes and no. For real wide gamut monitors you need a photospectrometer, but that’ll set you back at least $800. I’ll publish some specs when I’ve got some pre-production samples and you can see if it’s suitable then. An I1 Display Pro does not cost $800. Its cost 240€ in France. And it’s supposed to work on a wide gamut display. And it works great with Argyll. How does ColorHug compare to such a device ? My household financial officer as approved me for a pre-order. What do I need to do to officially pre-order to make sure I get one of these? Jeff, just send an email, as per http://www.hughski.com/buy.html — thanks. Any idea about the hardware accuracy? I heard the relatively cheap “closed source” competitors have quite some variations across different devices of the same series. After having read about this first on H-Online / heise.de I’m quite positive that you’ll get more than 50 orders. Great idea! This sounds like fun. I would love to play with the device. Please consider me as one happy customer. I added this story to a popular digital photography site in Spain sponsored by the National Geographic (http://www.ojodigital.com/). Why are you using Google+ for the announcements? Why not diaspora? Would be better suited for free software if you ask me. 3. If you could send one, when the colorimeter will arrive? Previous Previous post: Anyone better at math than me? Next Next post: Translators wanted!